Uncovering the true cost of your planned merger. 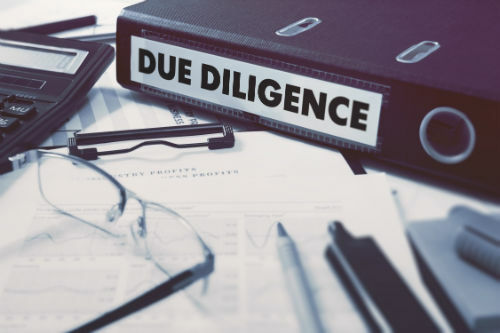 Merger & Acquisition due diligence projects are often run in very compressed timescales and under severe levels of secrecy. How do you ensure that you have captured all the information you need to about the technology services in that target organisation? How do you ensure that costs, issues and additional work does not come to light after the deal is struck? How do you create confidence that the deal is the right one for you? Lights-On’s formal M&A IT due diligence process has been honed across many years and numerous business sectors. It utilises our well used IT review process but structured to the specific needs, constraints and speed of a M&A investigation. 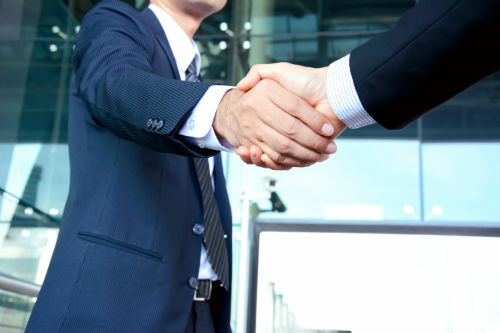 Executed by experienced IT M&A consultants our process is structured to provide the information required to make truly informed decisions and to be able to maximise the effectiveness of the deal. If you are considering a merger, acquisition, or divestment then contact us for a strictly confidential discussion about how we may help you grow your business without surprises and hidden costs. Consulting is a confidential business and the sectors in which we operate demand even greater levels of confidentiality. We take it very seriously and practice what we preach. Experience is as much about learning from mistakes as it is from doing things right first time from planning and consideration. That ethos of “if it feels wrong, even if others don’t think it is, then avoid it” remains a strong principle for Lights-On today. Integrity is at the heart of what we do. We are not a regulated industry like the legal sector in which we often operate however we treat work as if we were regulated. Most of Lights-On’s consultants come from a wide background of IT and management covering sectors as wide as banking, the energy sector, manufacturing and consultancy. "Having worked with Lights-On for many years it was a natural choice to turn to them to assist us in delivering this business critical project. Lights-On assisted in running a comprehensive process which will produce significantly better results at a cheaper price. I thank Lights-On and having developed the relationship over many years have absolute confidence that we have ended up with the best possible solution for us." "Lights-On’s deep sector knowledge and excellent support was invaluable in selecting our new Practice Management System. We really could not have done it without them." "It is a pleasure working with an experienced professional with a unique insight in the sector who has the back up resources of colleagues with similar and complementary expertise and knowledge to draw on for the benefit of my firm. I would recommend the experience." "As a novice to a project of this nature [PMS Selection] they brought me up to speed quickly and helped the team drill down into what really mattered. Good people who are great to work with and really know their stuff." "I am sure that, without their help, we would have paid more for something that would have achieved less." "Lights-On took us through procurement, negotiation and the implementation stage of our managed print project. They brought great market place knowledge which added value to us at each stage of the process and their involvement was a key reason that the project was such a success." "Lights-On provided a wealth of knowledge enabling us to start shaping our IT strategy. The team were able to give honest feedback and recommendations. Lights-On never let us down and I wouldn’t hesitate to recommend them." "Just as with our DMS decision, Lights-On provided precisely the support we needed for our PMS. They know the market, they know the suppliers and they understand the products. Many consultants are thinly disguised salesmen. Lights-On don’t sell. They advise. And that is actually a rare commodity and a valuable one. I wouldn’t hesitate to recommend Lights-On to any other firm looking at a PMS or DMS. They’re conscientious, hard working, reliable, friendly, pragmatic, thoughtful, diligent and constructive. I greatly appreciate their support." "We were highly impressed with their services." "Lights-On now acts as a trusted advisor and sounding board to our business." "We have benefited greatly from Lights-On’s considerable understanding of the legal sector and available technological solutions, as well as from their consistently practical, outcome-focused advice." "When taking on business critical projects, you need the specialist skills, professionalism and commitment provided by Lights On. We have used Lights-On for several key projects and their approach instils confidence and achieves project objectives." "Lights-On were superb on our DMS project. I highly recommend them. Professional, focussed, knowledgeable, pragmatic, organised and always adding value. If you are planning a new PMS, DMS or similar, think very carefully before going anywhere else." "As a Partner and FD, when it comes to spending money, I'm not keen unless there is clear ROI. Lights-On proved that they were well worth the investment."